Although BajiQuan was mainly developed during the first generations by members of the Hui minority who are traditionally of Moslem confession, the theoretical and philosophical concepts of this martial art are based on the Chinese traditional thought, and more particularly on taoism. This is due to the fact that through the centuries, the major part the Hui did fully integrate culturally into the Chinese society, and thus they have adopted a large amount of basic principles in their daily life and religious practice. 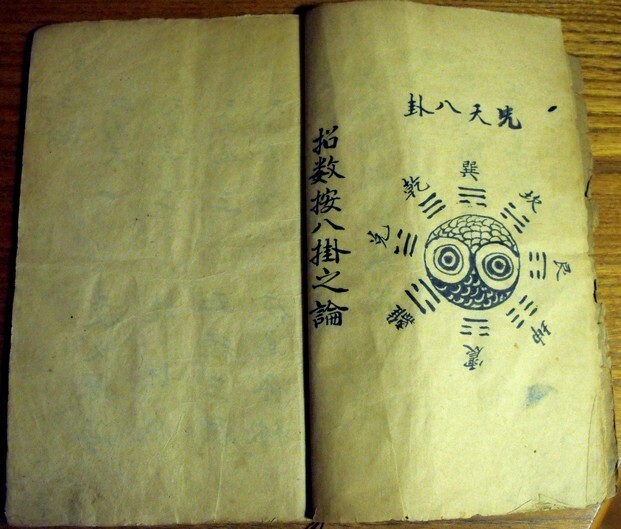 For this reason, it can be noted that most ancient Hui frequently studied some chinese classics from Confucianism and other schools of thought, such as the “Book of the changes” (YiJing, 易经) or the Annals of springs and the autumns” (ChunQiu, 春秋) along with the Koran (GulanJing, 古兰经). Consequently, BajiQuan, like many other styles practiced by the Hui (XingYi Quan, XinYi LiuHe Quan, etc) constantly refers to some principles classically encountered in Chinese martial arts.